A coin-operated laundry can offer an exciting form of investment. The increase in single person households, and the fact that using a coin operated laundry is often convenient for busy people who are frequently away from their homes, means that there is a large proportion of people who are doing laundry outside their homes on a regular basis. Buying a coin-operated laundry is much the same as buying any other business. Prior to buying, it is essential to research the potential market and ensure that a business will be viable. Coin-operated laundries typically have low overheads as little in the way of staffing is required and are they are relatively low maintenance. There is the opportunity, however, to offer a range of value added services within the laundry that offer customers an additional service. This is useful to help differentiate the laundry from its competitors. Value added services might include ironing, folding and delivering, or even repairs. When buying a coin-operated laundry there are a number of factors to consider. These will contribute to a business plan that will help in the setting up and running of a new business. A coin-operated laundry can range from a single coin operated machine in an apartment block through to a stand-alone building with several machines. The decision will depend on the investors criteria, including budget and existing portfolio. Location is paramount when buying a coin-operated laundry. It is important to investigate the demographics of an area and determine whether this area will support such a business. Very wealthy areas, for instance, are likely to contain households with home laundry machines and extremely poor areas or student areas might contain households who cannot afford to take their washing to laundries. Another important feature of choosing location is safety. This includes safety of customers, of any maintenance staff and of the building and machinery itself. As coin-operated laundries are open and unmanned for long periods, they can attract undesirables. At the very best this can give the laundry a bad name and put off custom; at the worst, the undesirable element can cause vandalism and actual harm. Busy, well-lit streets are less likely to experience problems. Taking a look at the competitors is an important part of the buying process. Established competitors can be a challenge as they may have a strong and loyal client base and a proven business plan. New ventures may find it difficult to break into such an area. On the other hand, customers are notoriously fickle and may well welcome an alternative. 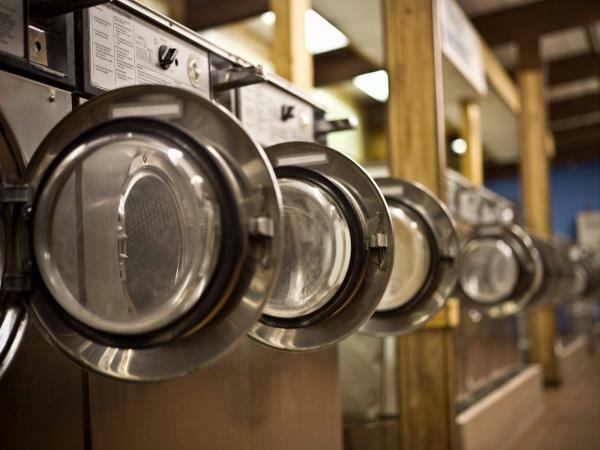 Areas without a coin-operated laundry are worth taking a look at too, however in such a competitive market there might be a reason why no one else has opened up in a particular area. Likewise if an area has a number of failed coin-operated businesses, does this mean that there is a great opportunity waiting to be realized as the previous owners were unsuccessful business owners, or does it mean that market conditions will make it difficult for any business to succeed? Knowing how a coin-operated laundry is to be financed is important and will help with the decision making process. If the operation is to be financed with a loan from a bank or investor, there will be certain criteria that need to be met. These are likely to include terms of any lease, and business restrictions and the loan being granted against some form of security. Establishing this early on will help with the decision making process. While one of the attractions of a coin-operated laundry is the fact that there are few in the way of human resources required, there is still an ongoing need for maintenance and regular emptying of the cash from machines. It is essential that a laundry is operating well, and customers will soon disappear if the laundry gains a reputation of being unreliable or having machines that are unreliable. Having good quality maintenance staff on call is essential to a successful business. Before buying a business it is necessary to establish whether there are suitable maintenance companies or staff in the area and if not, what the call out charges are from other areas. The business needs to be well insured and this can be one of the most significant overheads of the laundry. The cost of insurance will depend on location, local conditions and services offered, however it is advisable to get a rough idea of the level of cost involved as this can help to determine whether a business is going to be viable. Knowing how to buy a coin-operated laundry is an important part of the process and can offer a great investment opportunity. Do your research so you can be as prepared as possible before you purchase your first laundromat, and you might wind up with an entire chain in the future.